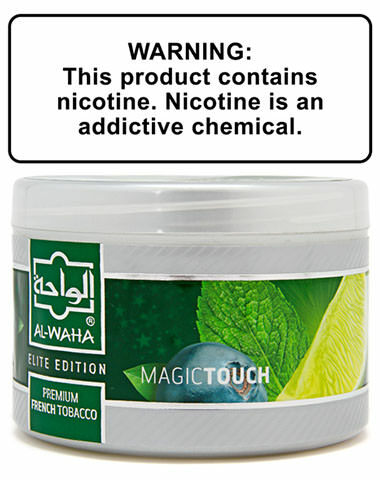 A magically delicious blend of flavor, Magic Touch from Al Waha takes the sweetness of ripe blueberries and combines it with the tart citrus flavors of lime. Adding just a touch of cooling mint, creates a refreshing shisha tobacco flavor that is sure to make your hookah session taste like a blueberry limeade. Magic Touch Al Waha Shisha Tobacco has a average rating of 0 stars out of 5 stars based on 0 reviews.